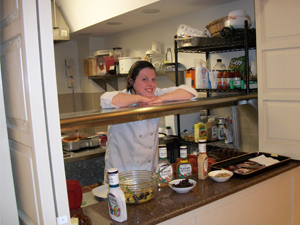 Owned and operated by the Lynn Home for Young Women, Inc.
LHW/WSR serves a complete and nutritious dinner Monday-Thursday, at no charge to our residents. Residents are welcomed and encouraged to assist the chef in menu planning. 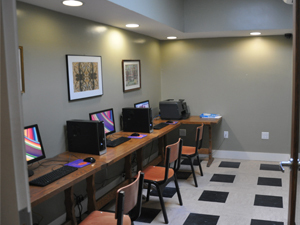 Our computer lab is outfitted with 3 desktop terminals and a printer for resident needs. Complimentary WiFi is available in our dining room. 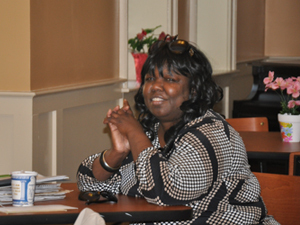 All residents have the option of assistance from our Service Coordinator. Services may be in the form of personal, inter-personal, employment, benefits maximization or just a friendly and caring chat. 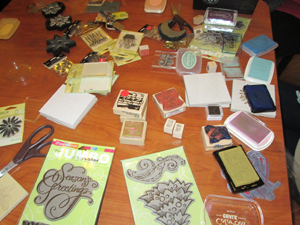 A book club, stress and anxiety strategies, arts and crafts, computer use and resumé writing are just a few of the many workshops and activities offered at LHW/WSR. As always suggestions and ideas are generated from our residents. 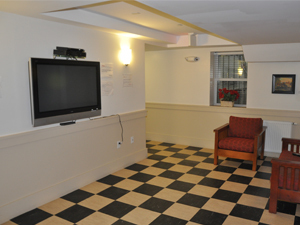 A large screen TV with cable and a DVR player are available for resident use in our comfortable TV lounge. Residents often gather to watch sporting or other important events. A beautifully landscaped, private, fenced yard is available for resident enjoyment. 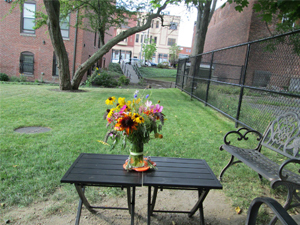 This quiet respite, in a busy downtown neighborhood, feeds the soul. 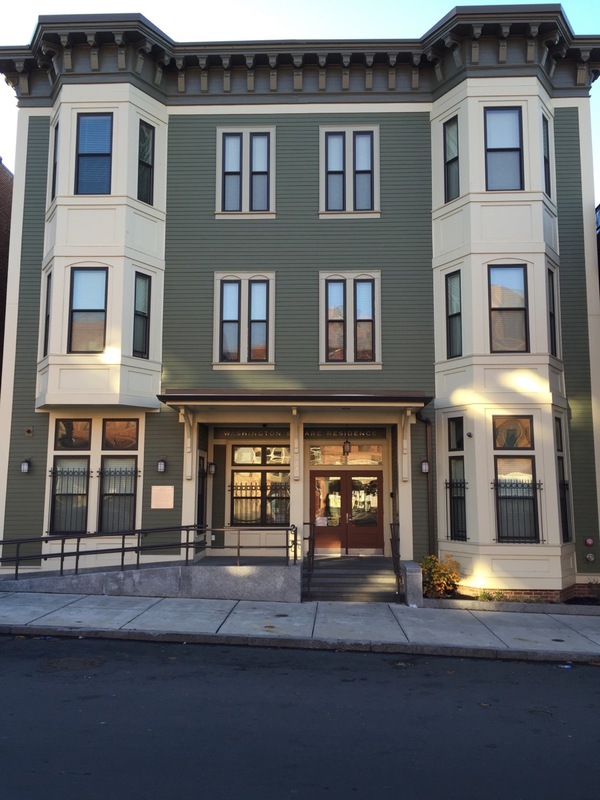 The NEW Washington Square Residence provides single person residency in Studio Apartments and Furnished Rooms.